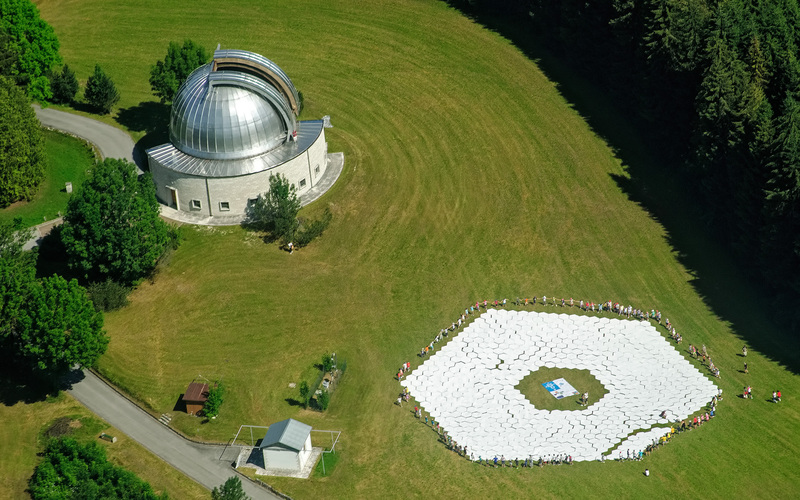 This aerial image shows a 1:1 scale model of the European Extremely Large Telescope's primary mirror, assembled next to the Asiago Astrophysical Observatory near Asiago, Italy. 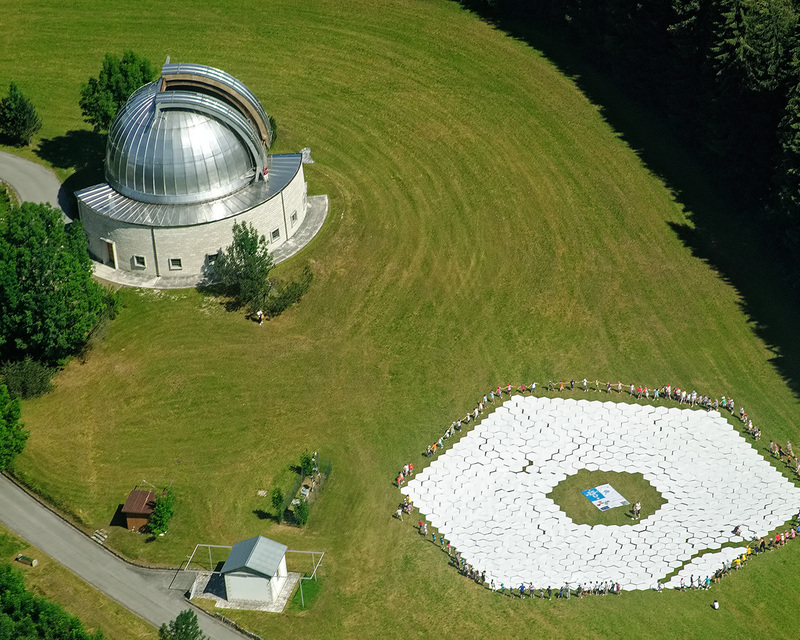 The Italian observatory, founded in 1942, is dwarfed by the gargantuan E-ELT mirror… in fact, you could fit the entire Asiago building inside the footprint of the E-ELT mirror and still have enough room to swing a proverbial cat (and a big cat too)! 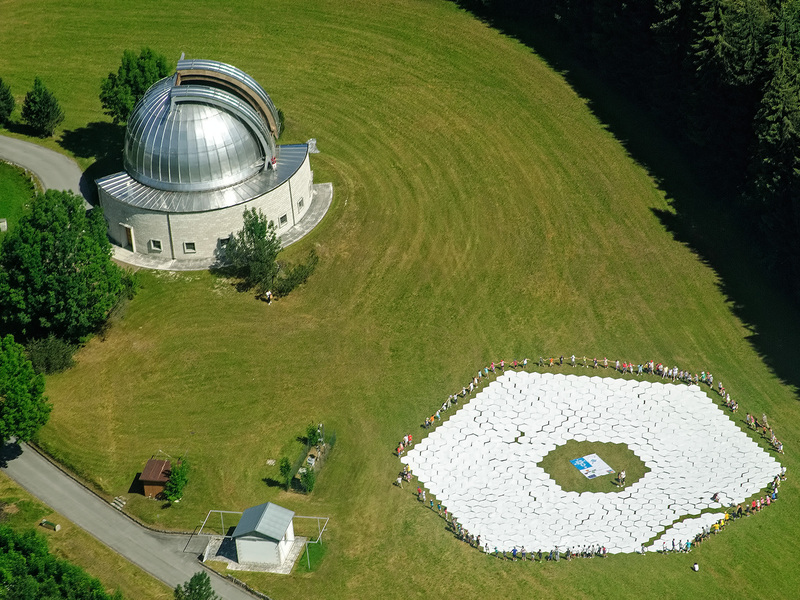 Around the edge of the mock-up mirror are the children who volunteered to participate in the task of positioning the 800 1.4-metre cardboard hexagons used to form the 39-metre E-ELT mirror mock-up.